The answer to this question is: YES. If we examine Hezbollah‟s organizational behavior throughout its history, in light of parameters that are included in most definitions of terrorism – that is, the actual use, or the threat of using, violence against civilians to achieve political goals – then we clearly see that Hezbollah is a terrorist organization. Hezbollah is a hierarchical hybrid terrorist organization. It has three wings: a political wing; a social-welfare wing; and a military-terrorist (jihadist) wing. Hezbollah‟s three wings work in synergy. They are run directly by Hezbollah‟s leader, Hassan Nasrallah, and by Hezbollah‟s Shura Council (that is, its “board of directors”). 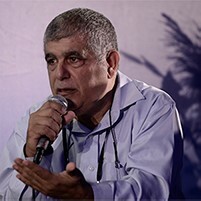 In 1992, Muhammad Fneish, a senior member of Hezbollah who during the 1990s represented it in Lebanon‟s parliament and later in the government, stated that “Our entry into parliament is one form of Resistance, a political form, because naturally we men of the Resistance need political backing, and armed Resistance needs political assistance…Our entry into parliament will promote armed resistance against the occupation.” In June 1996 he stated, “Resistance in all of its forms – military, political and civilian – is legitimate…”. In 2002, Fneish again raised this topic, stating: “One cannot separate Hezbollah‟s military wing from its political wing”.